Klaroline alert – Caroline Forbes (Candice King) returns for the July 25 episode of The Originals. The episode is called “The Tale of Two Wolves” and here’s the write-up with some spoilers; hopefully we will have some photos soon. UPDATE: The photos are here, and yes, there’s a lot of Caroline with some Alaric as well! 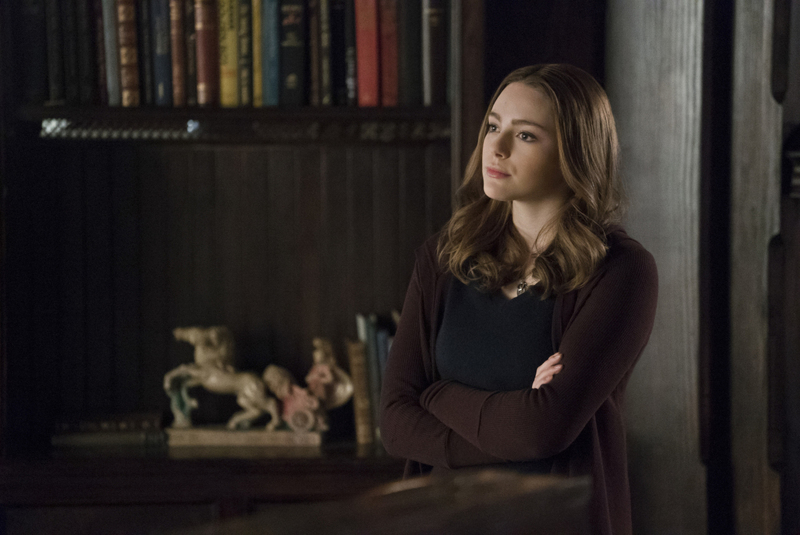 The Originals -- "'The Tale of Two Wolves" -- Image Number: OR512a_0084b3.jpg -- Pictured: Danielle Rose Russell as Hope -- Photo: Annette Brown/The CW -- ÃÂ© 2018 The CW Network, LLC. All rights reserved.